This website, SkyVisionSolutions.org, operates as a noncommercial entity under the name of SkyVision Solutions. SkyVision Solutions uses a related website domain name of SmartGridAwareness.org. 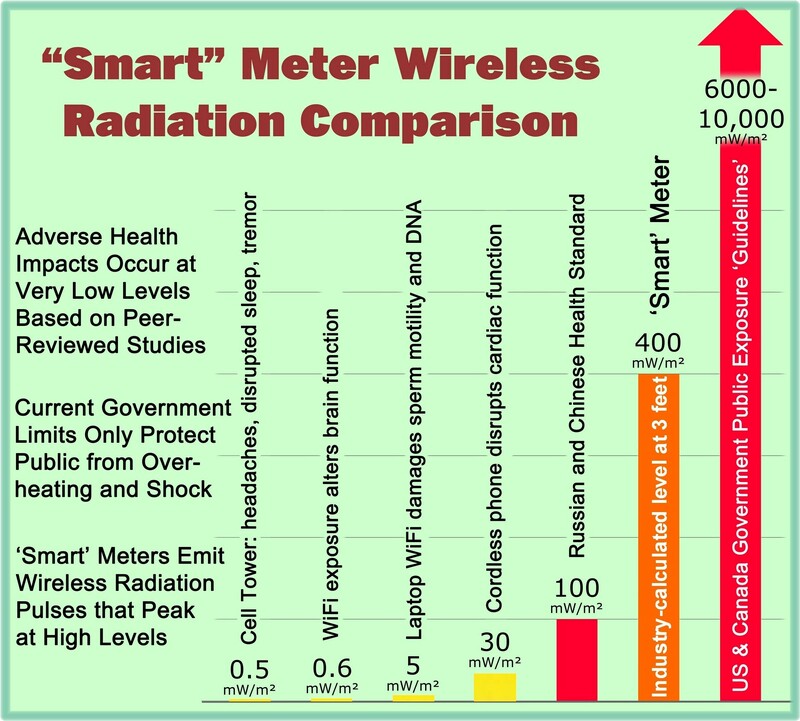 This website is devoted to the thoughtful discussion of implementation issues related to the smart grid as well as the potential hazards related to radiofrequency (RF) radiation emissions from all wireless devices, including smart meters. As a bit of a skeptic, the moderator for this website believes that the so-called “smart grid” may not be all that “smart.” Or maybe it should just be stated that the smart grid is not currently being implemented in a smart manner. It is acknowledged that there is a need to modernize the electrical grid. So although the moderator may have an “opinion” for the issues discussed, a rational presentation of evidence and supporting arguments is planned for those views. In addition to the overall objective of raising the public’s awareness to serious issues related to the deployment of smart grid systems, this website aims to address those issues from a consumer protection perspective. That is, this website distinguishes itself from most other opposition groups and websites which may at least create an image that their primary goal is to “stop smart meters.” The ultimate goal of the information on this website is to raise awareness in a way to help like-minded people protect themselves and other consumers from the many risks and costs related to current smart grid systems. This may or may not involve “stopping” smart meters and most likely involves addressing consumer and societal issues that remain unresolved by the utilities and smart grid industry. Although the above conclusion was principally made with regard to the topic of cyber security, it is asserted that the overall message applies to all aspects of the smart grid. For those who critically review the issues, there are significant concerns. This website is dedicated to informing those who want to take the time to learn about the issues and hopefully you will help “spread the word” from there. Unless we have more citizens holding their utilities and government officials accountable for enhanced safety and security, it doesn’t appear that it is going to happen as part of a natural course of events. The moderator for this website has a personal background which includes two technical degrees and a 25-year career in a profession involved with the health and safety protection of occupational workers and members of the public. Issues will be presented and discussed in a logical fashion using technical arguments to the extent possible. But since that approach can be a little boring at times, presentations will be supplemented with audio visual aids to the extent that they can be found to help make a point. DISCLAIMER: This website is intended to help raise awareness, advance knowledge, and provide perspective on potential benefits and risks associated with the smart grid, smart meters, and radiofrequency (RF) emissions from wireless devices. At times, viewpoints and possible solutions may be offered to help settle the debate or controversy with regard to these issues. Information obtained from this website is not intended to substitute for medical or legal advice nor serve as a final statement on the potential adverse effects associated with exposure to radiofrequency emissions from wireless devices. The responsibility for the interpretation and use of the information on this website lies with the reader. This website is engaged in activities which are strictly noncommercial in nature. This website engages in activities which are primarily educational in nature with occasion for the moderator to offer commentary or criticism. K. T. Weaver as website moderator for SkyVisionSolutions.org has earned a B.S. in Engineering Physics and an M.S. in Nuclear Engineering with a specialty in radiation protection, both degrees received from the University of Illinois at Urbana-Champaign. He was employed by a leading electric utility for over 25 years. He served in various positions and functions, including Station Health Physicist, Shift Overview Superintendent, Senior Health Physicist, corporate Health Physics Supervisor, and corporate Senior Technical Expert for Radiobiological Effects. He was considered qualified by the Nuclear Regulatory Commission (NRC) as a site Radiation Protection Manager in accordance with USNRC Regulatory Guide 1.8. The website moderator served in various on-call emergency response organization positions including Health Physics Director and Environmental Manager. He served as a member of the corporate Radiation Advisory Committee which dealt with radiation protection policy and litigation issues that included interaction with the company’s General Counsel and company Medical Director. The website moderator has received specialized training in radiation biophysics, radiological emergency response planning and preparedness, and project management. The moderator has participated in various industry committees and activities related to the Edison Electric Institute, the Institute for Nuclear Power Operations, the American Nuclear Insurers, and the Nuclear Energy Institute. The moderator is a member of the Tau Beta Pi Association and is also a member of the Honor Society of Phi Kappa Phi. He is an emeritus member of the Health Physics Society and has three times served as President of the Midwest Chapter of the Health Physics Society. K. T. Weaver has been the moderator at the SmartGridAwareness.org website since 2013 publishing nearly 300 articles, many of them quite detailed and comprehensive in nature.